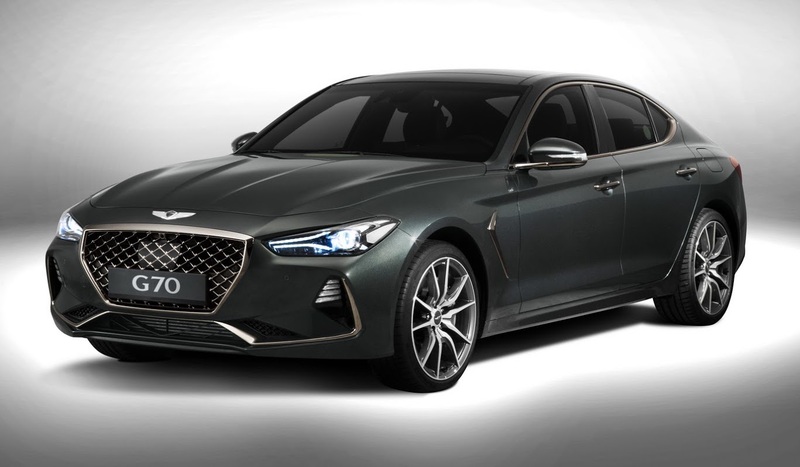 Following what feels like a relatively short gestation process, with relatively few spy shots and no teasers (that’s refreshing in today’s world), Hyundai-Kia’s new premium brand Genesis revealed the new G70 model. Designed to compete in the premium mid-sized segment against the likes of Audi A4, BMW 3-series and Mercedes-Benz C-class, the G70 is Genesis’ first truly new model, following in the footsteps of the premium large G80 (née Hyundai Genesis) and the premium limousine G90 (née Hyundai Equus). Wait, haven’t I seen this car before? Even though the G70 is an all-new model, you could be forgiven for thinking that you have seen it before. If you’re being nice, you could say that the G70 has a classically elegant shape and that it follows the class norm established by BMW’s ubiquitous 3-series. Many will think, however, that the G70 is an exercise of mixing n’ matching design elements from other cars in the class, resulting in an attractive car that’s mostly devoid of its own personality. 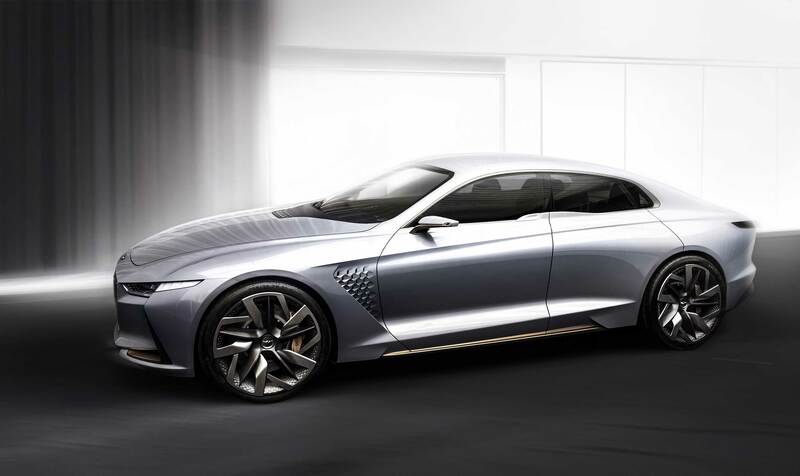 To these eyes, it possesses an attractive shape and some nice details, but overall ends up looking too much like the Infiniti G50 from the front quarter view, having lost the super-wide stance and funky detailing that made the Genesis New York Concept stand out. OK, so it may not look original, but surely it has merit under its skin? That’s the hope. Sharing an all-new platform with the Kia Stinger, developed at large cost for Hyundai-Kia’s premium models, the G70 promises to be, surprise surprise, a sporty and comfortable car to take on the best in class (like we’ve never heard that before). However, there are some reasons to be optimistic, including the involvement of a bunch of ex-BMW engineers in the tuning of the G70’s chassis, as well as the promising signs from early Kia Stinger test drives. The mechanical layout may not be breaking any new ground, nor will the all-turbocharged lineup of a 2.0-liter 4-cyl and 3.3-liter V6 engines, but as anyone who has driven the 3-series knows its appeal lies not in groud-breaking technology, but rather how all the ingredients come together. Only time will tell if Genesis got the recipe right. One thing is for sure – it will have its work cut out in the marketplace! This much is true – the premium mid-sized segment is going through a bit of a model onslaught right now, and in addition to the old guard (A4, 3-series, C-class) and other well-established players (TLX, IS, G50, S60), the G70 will also compete for customers’ wallets with relative newcomers such as Alfa Romeo Giulia, Jaguar XE and the aforementioned Kia Stinger. How likely is it to succeed? The relative struggles of the XE and Giulia to gain traction in the market suggest that the Genesis G70 may find it an uphill struggle to lure customers away from the established brands, and may be an exercise in slowly building up the brand in its first generation. Then again, its larger G80 brother has been surprisingly successful in the premium large segment in the US, so maybe its wise to wait and see. How successful will the G70 be? A good looking car but a small and decreasing segment. Looks derived from Jaguar XE/Lexus/Giulia none of which are breaking sales records. See, this is what I mean with the design standstill. Even luxury cars are a complete mix of other brands. In this case Infiniti, Maserati and BMW. It will do fine in the US. Unlike Europeans, Americans don’t care that much about status. They just want a good car. have produced a fine looking car. they will unnerve Ford and GM, especially Ford. So yet another car that looks like bunch of other cars. Article’s great as always. As for this car, as soon as the photo opened, my first thought was Nissan’s Infinity. Still amazes me folks on automotive websites spell InfinitY. Unless their habit is to write Volvax, Fard, Oudi, Bens. 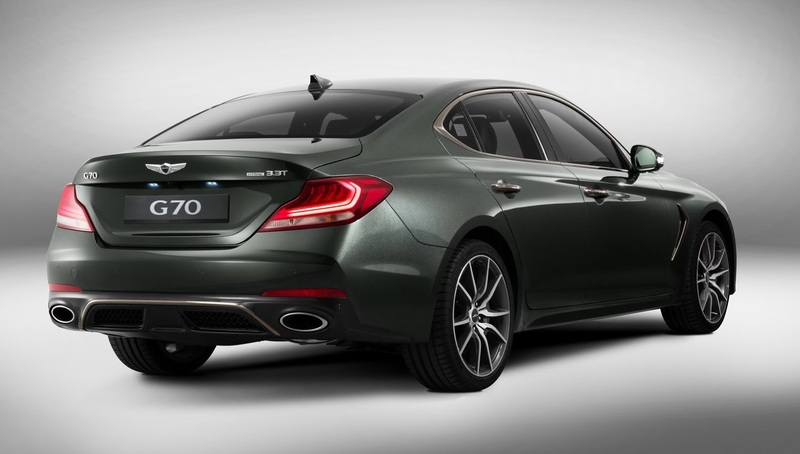 should have used the hyundai grandeur as their 3 series fighter, great looking car already sold in south korea, sell in the rest of the world ! WOW! You win! Congratulations, Geniuses! Prefer this car over comparable Benz and Bimmer. BMW will counter soon though with a sharper and more expressive 3 Series. Infiniti Q50 has a great stance (3/4 rear), but this Korean copy cat ups the ante. Genesis front is acquired taste. Would be nice to have some idea of starting price. I know Hyundai and Kia are making good products, but I’ve noticed their pricing is now right around the same price point as their competitors – sometimes even higher! I didn’t have a problem buying a Sonata back in 2009 when it was priced around the same as a Civic or Corolla. Fast forward to 2016, and everything was pretty much priced the same as Honda and Toyota….in some cases even higher. I ended up buying a Sentra for LESS than what Hyundai wanted for an Accent! Looks like even today you can still get a Sentra for the same price as an Accent.